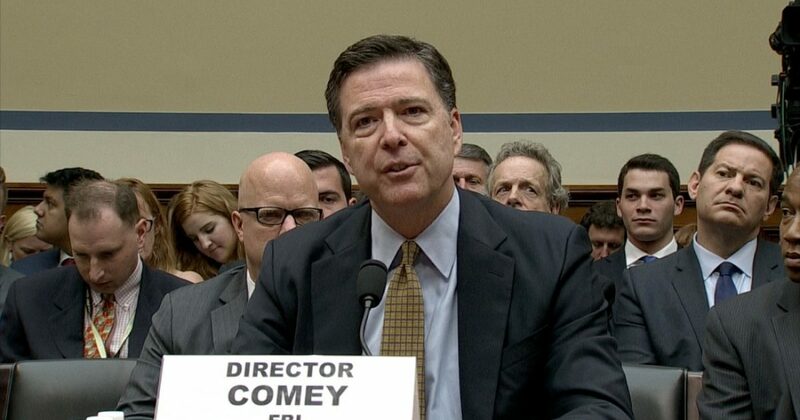 Once upon a time FBI Director James Comey stated that he would NEVER comment on an investigation in an open forum. I guess the saying is true… NEVER say never! When Trump dropped his wiretapping claim on Twitter a frenzy ensued. Almost immediately the NY Times headlined a story in which “Comey Asks Justice Dept. to Reject Trump’s Wiretapping Claim”. The FBI Director wants the Justice Department to refute such claims that prove the FBI broke the law. However, by making these public statements, Comey refuted his own testimony before congress. At the time of the Clinton hearings, Comey comment that he would never comment on an ongoing investigation, or whether or not an investigation might be pursued. See for yourself in the video below. However recently Comey commented on an ongoing investigation or a potential pending investigation that President Trump can’t substantiate claims against Obama. So which is it? Does Comey comment or not comment? Comey says Trump’s accusation is false. Is this based on an investigation that has been held? Prior to this latest declaration by Comey, he reminded us that he would NEVER comment on an investigation like this in an open format. Testifying before the Senate intelligence committee on Tuesday, James Comey said he could not comment in public on a possible investigation into allegations of links between Russia and the Trump campaign. “I would never comment on investigations – whether we have one or not – in an open forum like this, so I really can’t answer one way or another,” said Comey, at a hearing into the US intelligence agencies’ conclusion that Russia intervened in the election to benefit Trump. Again, Comey implies an investigation. Moreover, in his recent public comments, he speaks about what he says he NEVER speaks about publicly. Finally, he spoke to the nation’s largest newspaper. Multiple media sources verified what Comey said to the NY Times. Yet, the Leftist media is praising FBI Director Comey, but for what? Being a liar? Comey wants all of this wiretapping topic to go away. One has to believe the information potentially compromises the FBI. In all actuality, the FBI has pretty much compromised itself.